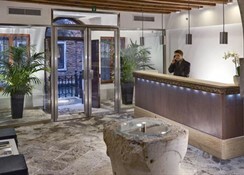 Enjoying a convenient location right by the historic La Fenice Theatre and just a 5-minute walk from St. Mark's Square, this charming hotel welcomes guests into elegant, warm and relaxing surroundings where they can enjoy the levels of service and comfort of the most prestigious hotels in Venice. Guests can watch a gondola slowly glide by the hotel windows and enjoy direct access to the hotel by water taxi. Inspired by 18th-century Venetian-style dÃ©cor, the establishment offers charming bedrooms, which are beautifully appointed with a combination of classic furniture and modern comforts that will make guests' stay really unforgettable. Travellers may set up for a busy day of sightseeing with a rich breakfast buffet, which includes a wide selection of sweet and savoury options. The beautiful rooftop terrace, with its panoramic view over the city, boasts a fantastic self-service bar where guests can relax and enjoy a variety of soft drinks, tea and infusions. 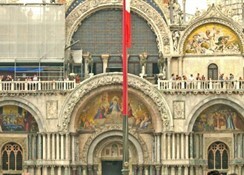 This hotel is located right by the La Fenice Theatre- Venetian opera's historical theatre- less than a 2-minute stroll from St. Mark's Square and 10 minutes on foot from the Rialto Bridge. 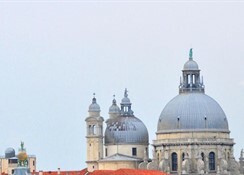 The hotel enjoys a privileged location among the hotels in Venice and is an ideal place from which to discover both the classical Venice and its quirky alter-ego hidden from the usual tourist itineraries. 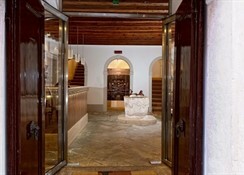 St. Lucia train station is just 3 km away.This charming hotel is housed in a 16th century residence which was fully renovated in 2008 and welcomes guests into elegant- warm and relaxing surroundings where they can enjoy the levels of service and comfort of the most prestigious hotels in Venice. 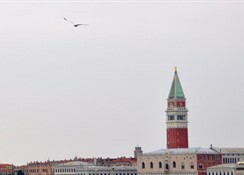 Guests can watch a gondola slowly glide by the hotel windows and enjoy direct access to the hotel by water taxi. 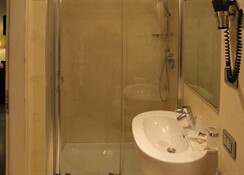 It comprises a total of 15 rooms spread over 3 floors. Facilities on offer to guests at this air-conditioned establishment include a lobby area with a 24-hour reception and check-out service- a hotel safe- a currency exchange facility and lift access. 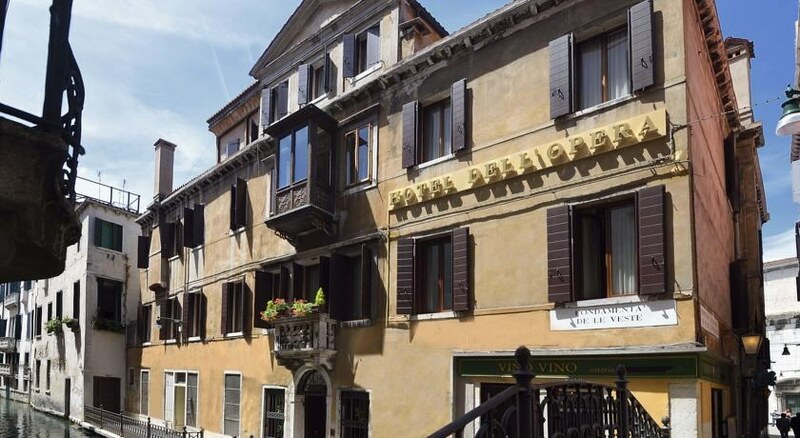 It also offers a café- a TV lounge and a breakfast room- as well as a wifi area.Fabrics- damask- glass- wood- stone- history- art- literature: the rooms of the hotel rediscover the atmosphere of Venice in the late 1800s. During their stay at this Venetian hotel- guests will savour the pleasure of comfort and service which make a holiday unforgettable. Convenience and technology merge harmoniously with hand-picked furniture. Each room comes with a private bathroom with a shower and a hairdryer- as well as a telephone- Internet access- a flat-screen TV with satellite channels- a minibar- a safe and individually adjustable air conditioning and heating. Furthermore- a king-size bed and a terrace are provided in all accommodation as standard.The Lido di Venezia Golf Course is just 3 km away.Guests are served a continental breakfast each morning.